The Over 40 Worcester Girlies played at Derbyshire at the weekend. 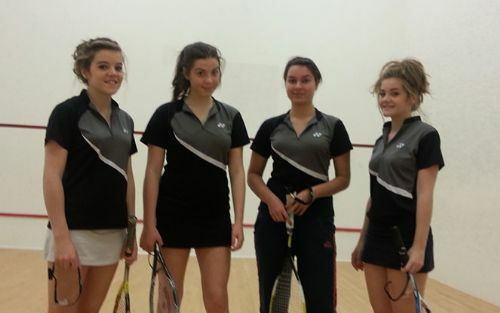 To quote one of the players "Amazingly we won both matches and played really well" - Well done to them all! Even though the a majority of the games are due to be played w/c 18th November, please play all possible games during w/c 21st October. This will allow for the Plate draw to be completed! As for the scoring, all league and cup games will now play 15 points PAR scoring. PS - Just for information any comments on here need approval before appearing. Making comments about scoring has no bearing on anything especially when you can even put a real email address in! Many thanks go out to Bett Dryhurst for organising the event, Arden Estate Agents for sponsoring the event and Stourbridge Lawn Tennis and Squash Club for hosting.